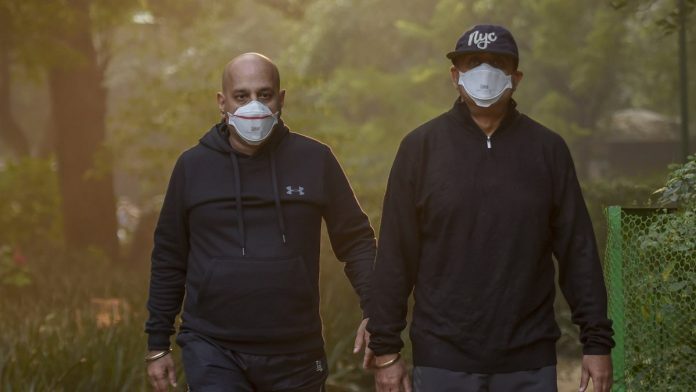 Experts say that masks and purifiers do reduce effect of particulate matter but their health benefits are still under a cloud. New Delhi: The onset of winter, these days characterised by plummeting air quality levels, has led to a spurt in the sales of air purifiers and anti-pollution masks. Health experts, however, say they are not sure about the benefits or effectiveness of these health products. Bhargava was replying to queries from ThePrint after releasing the report of a study on the impact of air pollution on deaths, health and life expectancy in India Thursday. The study, published in The Lancet Planet Health 2018, found that one out of every eight deaths in India is attributable to air pollution — more than the disease burden from smoking. While the experts said that masks could limit inhalation of some particulate matter, it did not mean they would provide full protection. Joshi added that masks used by common people can only stop some particulate matter but not harmful carcinogenic gases like benzene. He, however, mentioned that certain specialised masks have the capacity to stop the most hazardous and toxic gases but they were used under medical clearance and supervision mainly in industries and chemical factories. Joshi said masks may have psychological benefits, in that they make people feel safe. “At the government level, masks can be part of advisory which they are but you cannot make them compulsory,” he said. Further, Joshi talked about the human tendency of developing “tolerance”.